Natural stone and concrete staining are difficult tasks that require years of experience. 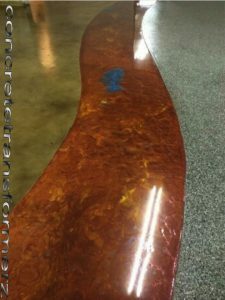 If you have natural stones or concrete that needs to be stained, don’t hesitate to contact our Top-Rated Local® restoration company. We offer water-based and acid-based concrete staining, and we would be happy to talk with you about your staining needs. We serve Los Angeles County, Orange County, Long Beach, and Redondo beach, and we’re always looking for new clients. Contact Concrete & Marble Transformerz today for a free estimate!